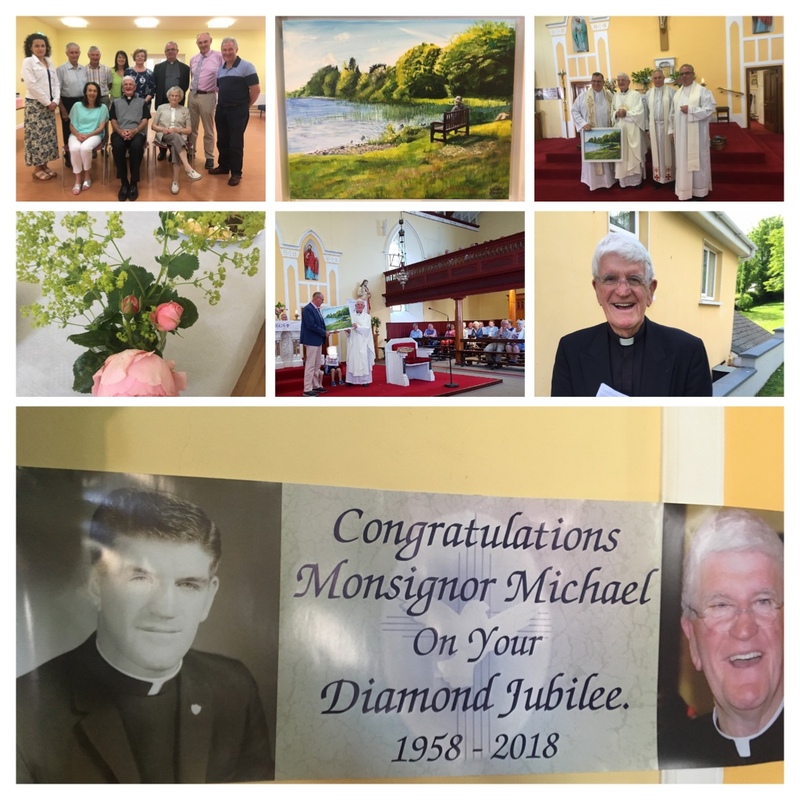 On Sunday, 24 June 2018 Kildysart Parish celebrated the sixtieth anniversary of Fr Michael O’Grady’s ordination to the priesthood. We we joined at our Sunday Mass by the Our Lady of Perpetual Help Parish Choir from Scottsdale, Arizona, USA. The choir was accompanied by Fr Greg Schlarb and Fr Greg Menegay from the Diocese of Phoenix and were conducted by Donal Noonan. 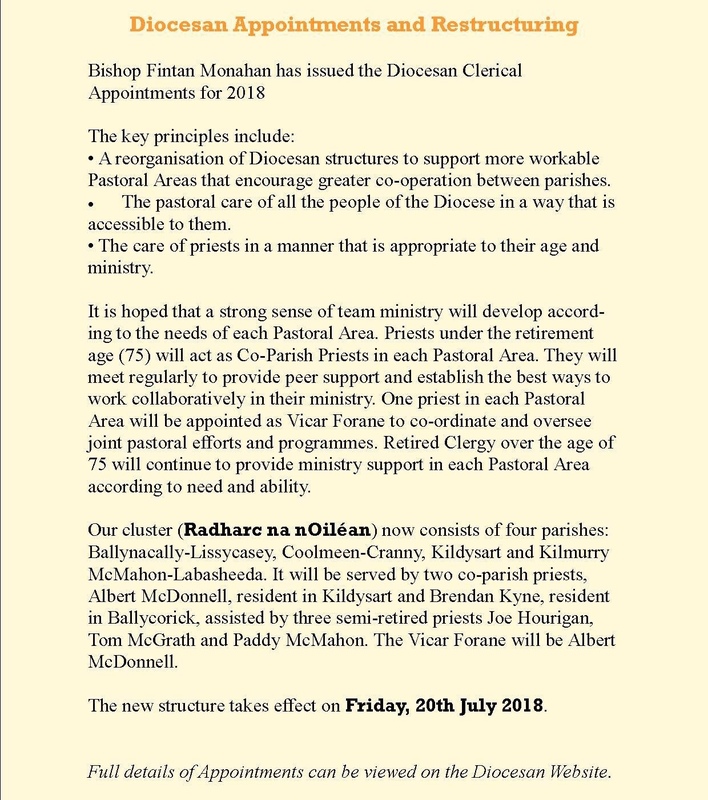 Fr Michael O Grady is a good friend of the choir and parish. After Mass refreshments were provided in our community centre. Fintan Ginnane, the Chairman of our Pastoral Council presented Fr Michael with a painting by Elaine Gavin of his favourite view of Gortglass Lake. We congratulate the children together with their parents, teachers and families, who received their First Holy Communion in St Michael’s Church, Kildysart on Corpus Christi, Sunday, 3 June 2018.